In the first instalment of a two-part interview, Alexander Cairns chats with independent filmmakers Devan Scott and Will Ross. Their latest movie We Three Heathens chronicles the different perspectives of a trio walking the fabled Camino de Santiago. Devan and Will tell us why you probably haven’t seen their movie yet and they reflect on the obstacles and encouragements they’ve encountered in the Canadian film industry. Films talked about in this episode include We Three Heathens, Lifeguard and The Big Country. 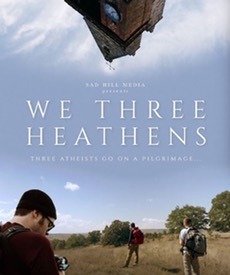 Read more about We Three Heathens on the film’s website.